"Kids, stop moaning and just leave the baby-boomers alone" says Catherine Bennett, who scathingly criticises 'Generation Debt' for being feckless and lazy. "How the baby boomers blew it" says Frances Beckett, and quite interestingly draws a connection between the selfishness and greed of the 'cradle to grave' generation and New Labour. Bum-wiping, or at least commode use, gets a mention from both. This issue seems to be gathering steam now even if its old hat in these here parts. Boomerism that is, not the toilet habits of the elderly. that first article reads like a last-ditch boomer monologue for the Newsnight Culture section, probably to be read by Tracy Emin or Janet Street Porter. This article reminds me of what ires the most about boomers, is that they think if they talk long and loud enough with long words and stuff then it will go away and they can still retire to a cottage in Devon and it doesn't matter if their offspring spend their whole lives raising a family paying off onerous mortgage and student debt in a flat in a rough area as things were tough in the 1970s and the winters were cold. Bennett is quite sneaky with the rhetoric. She doesn't actually disagree, she criticises the form of the argument for lacking reference to ideology and politics which is quite crafty even if its ultimately empty. Thing is, this isn't a new point, it was made in Generation X 20+ years ago, if I had the textfile I could quote the main paragraph and it is being born first, pulling up the ladder and eating up the wealth of their parents and now their children in one long party. Selfishness doesn't need a coherent theoretical framework behind it, its just what people do because they can. "The two most common complaints of the generations which follow mine are vehement and relate to housing and jobs. Housing is too expensive and jobs are unavailable despite the acquisition of degrees aplenty. I am not aware of any excessive increase in the value of my UK property portfolio - rather the reverse. The average UK house price is about 160k which according to my simple reasoning is just a little over three times an average (double) UK salary - just as it was circa 1970 when we bought our first UK house and got a mortgage of about 10k on our joint salaries. Nor am I aware of significant unemployment amongst those with good degrees in sensible subjects. Graduates in media studies and those with similarly worthless paper from the lesser polytechnics can expect a troubled employmment trajectory. Who cares!" New research from Halifax has indicated that UK house prices have risen by 35 times since 1970. For Londoners this increase stands at more than 40 times. Over the same period inflation has seen the value of the pound fall by less than ten times. The research shows that the average house price stood at £172,788 at the end of 2004, compared to just £4,874 in 1970. Commenting on the research, the chief economist at Halifax, Martin Ellis said: "Homeowners have seen good rates of house price increases under both main political parties, just as they have seen real house price falls under both governments." Although the market has seen house prices rocket over recent years the greatest annual rates of increase since 1970 was a 13 per cent rise between 1970 and 1974." So the average house price in 1970 is less than half the £10k claimed by huronian; or put differently, he/she is out on house prices by at over 100%. Trustworthy memory, then. Referring to people aged early 30s and under (my generation) as "Generation Debt" seems like a total failure to understand the situation. Many of us have five figure student debts, true enough, but who has the 6 figure interest only 4x joint income tracker mortgages topped with a layer of MEW for the BTL portfolio? Those people belong to the generation above us, aged about late 30s - late 40s, and their debt problem is ten times larger than ours. They are the real "Generation Debt". So what about the generation above them (the "Boomers" in their 50s and 60s)? Well, who do you think lent the BTL generation the money? All those 125% Together mortgages and American subprime CDOs, that was the savings and pensions of the Boomers. There is currently an attempt underway to palm the bill for the mess created between the BTL generation and the Boomers onto my generation, through high house prices, high share prices, bank bailouts and the national debt. It isn't going to work because, frankly, we don't have the money either. When I see "first time buyer" flats targeted at people in their 20s being priced at £160k it makes me laugh. I know a lot of twentysomethings and have a rough idea of what a typical twentysomething earns, saves, and how stable their jobs and relationships are. The idea that we are all going to be servicing 4x joint income mortgages over the next 25 years, and that this is going to enable the BTL generation to pay the Boomers back is a sad joke. It's impossible. The conclusion to this farce, when it comes (and I suspect sooner rather than later), is going to be an answer to the question of how much of the BTL generation's debt will be paid back to the Boomers, in real terms, as and when they retire over the next ten years or so. I'd guess the bill will be rather larger than the BTL generation are expecting, and a lot smaller than the Boomers were hoping for. C'est la vie. Yup I had this argument with my own father a few months back. The house he bought before I was born cost him just over twice his single salary as a plumber and was £3500. I don't know many young plumbers that work for a company on a 90k basic. That sounds about right - you'd need about three good plumbers' wages to buy the housing that one could buy then. Similarly you now need about three university lecturers' salaries to buy the house my father bought in the late 1960s. Which does put it into perspective. Or put differently, a salary that would then buy a three-bed terrace will now just about buy you a one-bed flat in the same area. Obviously they aren't working hard enough! They should be working 173 hour weeks.... when I was a boy........ I used to work 2000 hours a week and then go home and work 30000 hours a week and pay 300% of it for rent. You don't you;ve been born. Heres a bracing true story for you. My grandparents worked as a housekeeper and gardener for someone who had the same job title I currently have so a fair like-to-like comparison can be made.=. They were provided with tied housing. Today, the house he lived in is 33 times my income(! ), the tied house he let my grandparents have as part of working for him is 10 times my income and would be well outside my ability to take on a rental basis. Two generations ago you owned the big house on the hill, today you can't even live in the smallest house in the village as a renting tenant. This is progress apparently. Like most of the discussions on this subject these articles largely miss the main criticism that should be levelled at the boomer generation. They simply did not have enough children. But then their successors are only proving marginally more productive in that area. There's no shortage of potential workers in the UK. Youth unemployment is around 20-30%, many of the other 70% are biding their time in educational courses of dubious merit (at the expense of themselves, their parents, and the taxpayer), and a lot of those who are working are doing low value, low productivity jobs in call centres or retail parks built over old manufacturing land where their fathers were skilled machinists producing high quality cars, bicycles, ships etc. Much of a generation is wasting its time because the high cost of living makes it uneconomic to employ young British people for the work that needs doing. Course, that's because if they just set up doing jobs for money direct in a whole host of areas that people need without the right licence, or for lower than the NMW, they will be put in prison. And it's worse than that even. Maybe Im looking at the top end too much I don't know, but I hear the 160k average time and again but it doesn't fit my experience. I typically rent 2 bed flats (sorry luxury apartments) and Ive never seen one of these on the market for less than 200k since I started being vaguely interested in buying back in 2005. These are nice places in good areas, but they are only flats. Ive never found the average of all property types to be anywhere near 160k in any of the locations I've lived. None of which have been within the M25, by the way. NMW is the poor man's price control. Monetary expansion by the Bank of England is the rich man's price control. Like Warren Buffet says, the rich are winning the economic war so easily it's not even a contest. Both price controls should be abolished, but I know which one should be abolished first. This person is clearly a selfish, ignorant c0ck. As I understand it mortgage affordability ratios circa 1970 were generally calculated on single income, not joint. So, If credit expansion hadn't occurred over the last 30-40 year, then the current average house price calculated on long term lending ratios would almost certainly be nearer £75,000. This doesn't take into account the inflation that has taken place over the same period, which if average house prices had merely kept track of, would give an average inflation adjusted house price figure of circa £48,000. Sit down and read that again....£48,000. This is why, men on average in 1970 could afford a 3 bed semi and the wife could stay at home (if she chose). The average wage in 1970 was circa £1,800 ( -adjusted for decimal, though I suspect the median wage to be lower as agricultural laborers wages were very low) This gives a mortgage affordability ratio in 1970 of 2.7 (though they briefly touched 2.10 in 1994- though I'm not sure if this was based on joint or single incomes ). Long term average is 3.5. Of course, one would have to make certain ( probably false) assumption's about the backward matching of wage increases to asset price inflation, the non permanence of the female entry into the job's market and the rise in single occupied household's; as the last two examples will almost certainly have had a permanently inflationary effect. Can someone older tell me what income tax was like in the 1960s and 1970s? Should we not be using net income to calculate mortgage ratios rather than gross? I think it has a huge bearing, I'd also like to know when the joint income mortgage reached critical mass and started driving prices higher? Any one have any figure's for this? In general the boomers are too selfish to realise that if they continue to heap mountains of debt upon the shoulders of the young collpase is inevitable. I just hope that they live long enough to suffer the consequences of their actions. Attention priced out HPCers! Now available, the Boomer Voodoo doll. Get your own back. Stick your pins in the fat home owning pigs! You think you're so clever with your fat pension, and mortgage free house worth £600,000 huh?! You think you're clever with your BTL portfolio paid by the McSlaves? 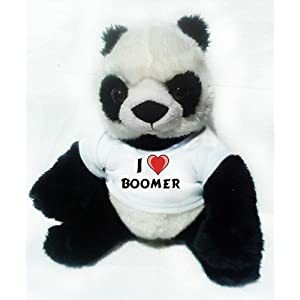 Die boomer die! Ya! You remind me of one of those wet behind the ears z list celebs that Ch4 ddig up when they run a 'tribute' to a 60's musician/actor/comedian. Like them and unlike us, you can only talk of a time that you have no idea or experience of. An era that unlike us, you can only comment on from your perspective of your 2010 version of reality. Maybe in 20 or 30 years time you will have gained the credibility to comment with some authority on both the present and recent history from a position of knowing what you are talking about having been there in the here and now as well as the then and there. Until then, carry on talking of a time when you were a trainee foetus buy please do not expect your comments about life in the 60's and 70's to be treated as anything more seriously than the latest x factor dross singing a Beatles song.